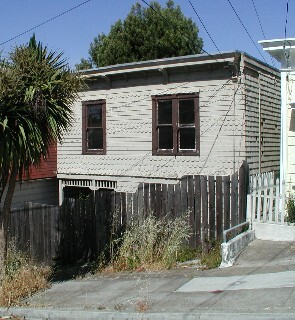 Like more than a handful of homes in Bernal Heights, the little cottage at 111 Manchester is somewhere around 100 years old. But instead of being appreciated, it was neglected for many years. It was rented out for a time before it was left to disrepair by its absentee owners. At some point, the owner envisioned profits from soaring property values in the Bay Area. Plans were drawn to build a large home on the substandard lot. 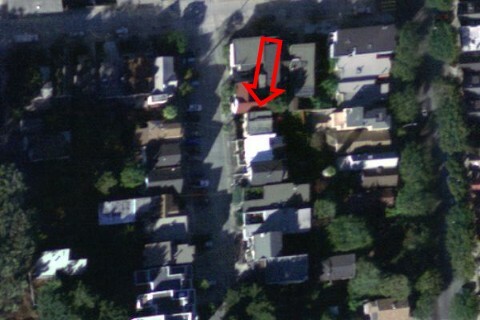 (Most lots in Bernal Heights are considered substandard. This, along with our topography and older buildings, has led to the City declaring the neighborhood a Special Use District with unique rules. These rules attempt to maintain the character and scale of the area.) The long-time owner decided to sell the property rather than work out the details with Bernal Heights Special Use codes and the neighbors. The buyer thought he could forge through those details. The Board of Permit Appeals overruled the SF Planning Department's refusal to grant a permit to demolish the cottage. But the Board of Appeals didn't follow its own rules. City Charter bans demolitions within the district with limited exemptions. None of the exceptions had been met. Bernal Heights Preservation was formed when a group of neighbors decided to sue the City of San Francisco for violation of its City Charter and Bernal Heights Special Use codes. 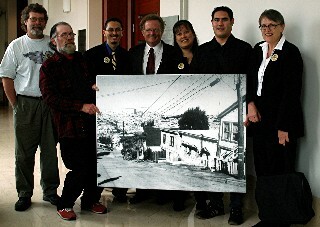 On 4 June, 2004, Bernal Heights Preservation won its case against the City; S.F. Superior Court Judge Ronald Quidachay directed the City to void the demolition permit. The new owner has since withdrawn his demolition and construction permit. While Bernal Heights Preservation is not opposed to change and progress, we do want it to be considerate of the area's history and special use codes. Bernal Heights Preservation would like to extend its deepest gratitude to attorney Arthur Levy, who has represented us in this case. "Judge blocks cottage demolition, 'Procedural issue' sets Bernal dispute up for more review"
Bernal Heights Preservation, a Bernal Heights community preservation group, scored a major victory Friday when a San Francisco Superior Court judge directed the City to void a demolition permit to tear down a 100-year old Victorian on Bernal Hill. Judge Ronald Quidachay agreed with Bernal Heights Preservation, the community group that brought the suit, that the city had violated the City Charter and the Bernal Heights Special Use District preservation ordinance in approving the demolition. Dennis Davenport, who serves on the executive committee of Bernal Heights Preservation, said, "This is a great day for Bernal Heights and community preservation." Judge Quidachay sent the case back to the City Board of Appeals, directing compliance with the preservation ordinance. Arthur Levy of Levy, Ram and Olson represented the community group in the lawsuit. "The neighbors really had no choice but to stand up and enforce the Bernal ordinance," Levy said. "The City had made it clear that it wasn't going to do it for them." In directing the City to follow its own preservation rules, Judge Quidachay's ruling sends a warning to the City and to developers against piecemeal demolitions that would damage and ultimately destroy the character of this historic neighborhood.